Since 1993 Cristian Silva has evolved a practice that traverses the most wildly diverse topics and subjects but that consistently weaves his own personal biography into more universal themes. Almost 20 years after participating in “From Left to Right” (a high-profile group show of Chilean Artists at the Delfina Foundation) the artist returns to London with ‘Ornithology’, the first and only exhibition of a Chilean artist at Cecilia Brunson Projects this year. 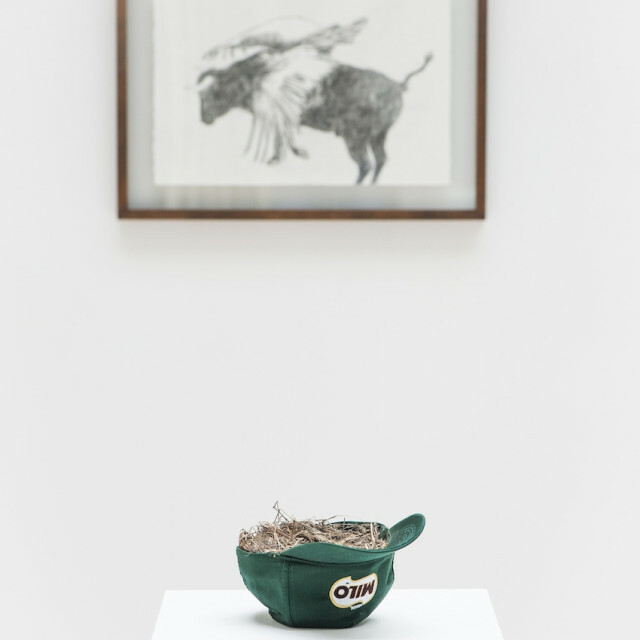 The show brings together works produced between 1993 and 2013: photographs, drawings, objects and videos, all gravitating towards the common theme of birds. Knowing birds to be a recurrent theme in Silva’s works Cecilia Brunson invited the artist to assemble this show with the goal of bringing together pieces never originally conceived of as occupying the same space. This heterogeneous cross-match between images and objects sets out an enigmatic and multicultural dialogue. In particular this re-reading emphasizes a central and personal vocabulary of the artist: his enduring interest in dominant themes such as history, sacrifice and silence. Timed to coincide with the days running up to the opening of his new solo show in the Maisterravalbuena gallery in Madrid ‘When hunger comes through the door love slips out through the window’, ‘Ornithology’ becomes a moment of reflection at a cross-roads moment for the artist, a delicate but bold retrospective at the same time reviewing the past and opening up new avenues in his work.